Back in the day, there were many different theories about language acquisition, and how best to teach English to learners. These days, the most popular textbooks and methods combine a focus on meaning, form, and pronunciation. 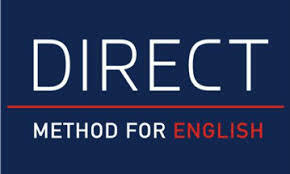 Direct methods, such as Callan, are sold as a fun and engaging way to learn English. There are schools all over the world that are dedicated to Callan or other, similar methods. But is it as effective as some people say? As these methods require almost no lesson planning whatsoever, the teachers need very little knowledge of the inner workings of English. Thus, teachers don’t typically have any qualifications. You will often find teachers that are only topping up their gap year funds or just spending a year out. Callan teaching, for example, requires only one week of training. Which is much less than the qualifications you might expect other teachers to possess. The methods require no explanations at all, so there is no grammar focus, and this often leads to students that have no idea about English structure. Many students find that they prefer learning the language this way, as they find it easier to parrot the sentences and vocabulary back to the teacher. However, the books are quite repetitive and learners sometimes end up bored and disengaged. Generally speaking, there are three ways to use the book. You might have one student only answer the question, the whole class answer together, or repeat the same question and change some details to several students. All of these options have the potential to alienate students that aren’t taking part and make the lesson quite dull. After all, the direct methods are based on a, largely disproved, audio-linguistic theory that was very popular in the eighties and early nineties. Since then, new schools of thought have questioned the legitimacy of the methods and also the effectiveness of just repeating language verbatim, back to the teacher. Despite what I have said above. It’s actually common for beginners to really appreciate direct methods. Because it teaches them some basic intonation and also the 2000 most commonly used words in the English language. Very useful skills for complete beginners. However, in terms of building a foundation for moving to a higher level, it is considered quite ineffective. This is because the books don’t give any grammar explanations, pronunciation practice, discourse practice, or anything that resembles the skills needed to maintain conversation in English. To be honest, and what is probably obvious by now, I have no love for these methods. There is some evidence that they are helpful for beginners, but I don’t believe that they are anymore effective than some others out there. What do you think of these methods? Any success stories? Or bad experiences? Let me know in the comments below!